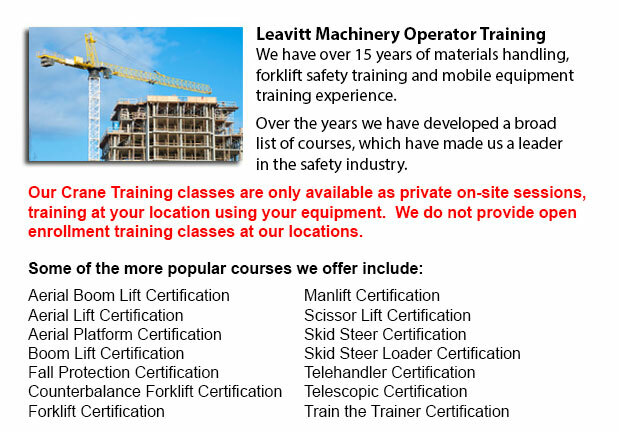 Regina Crane Operator Classes - Crane operator training is for supervisors and operators of overhead lifting equipment. The course is suitable for both new and current operators. Course content includes relevant provincial, state and federal safety regulations. The training's first part involves complete in-class instruction and test. After that is a customized hands-on session together with practical lessons and evaluation. Course content applies to all types and categories of overhead lifting machinery. Specific instruction would concentrate on aspects of crane operation utilized at the workplace of the trainee. Upon completing the course, trainees would know how to operate particular overhead lifting equipment, related components and attachments in a safe and efficient manner. The purpose of the operator course is to identify any potentially dangerous habits that an operator can develop while operating an overhead crane. Costly damage to equipment and products could be avoided with right practices. Training reduces the chance of a workplace incident or injury happening. The course will encompass about eight hours of classroom instruction with a couple of hours of customized, on-site, hands-on training. Participants are graded on their knowledge of training material through written testing and an assessment of their practical knowledge. The minimum acceptable score is eighty percent. During the in-class session, participants will be taught applicable guidelines and legislation, causes of damages and occurrences, danger awareness, internal responsibility, basic equipment and design principles, capacity ratings/load weight calculations, safe hosting/operating techniques, pre-shift equipment checks, equipment applications/rigging, kinds of hardware, hitches and angles, operator/pedestrian safety, hand signals for operators and slingers, flipping/turning loads safely. The customized practical training and evaluation session must be pre-scheduled. It would be held at the trainees' facility following completion of the in-class session. The length of this practical training part is one to two hours. Two operators at a time will be trained by the instructor about skills like correct rigging practices, safe operation and planning the lift. Upon completion of the in-class instruction and the practical operating instruction and evaluation, the trainee will write an exam. Signed safety rules would be needed from each and every participant. Individual wallet certificates would be given to trainees who are successful. The company will be given a framed wall certificate.